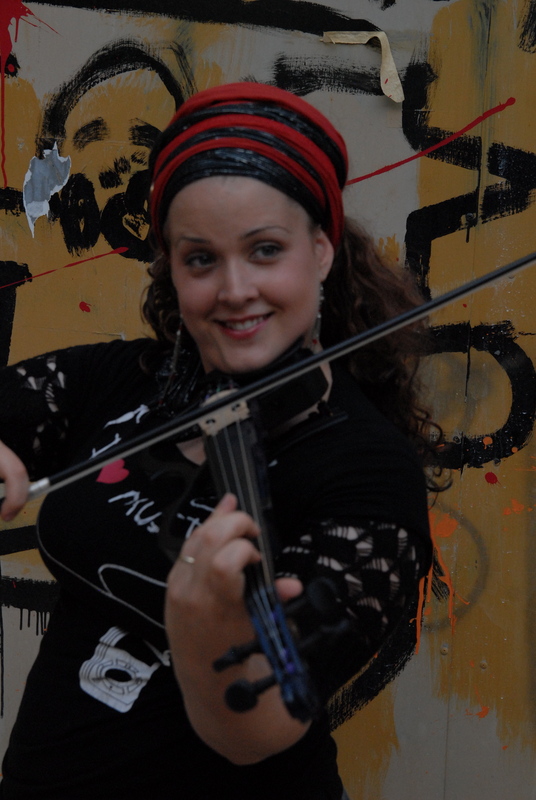 A Violinist Lady Wrap Star!! Meet Ariella! When we first met, I was like, “There’s another blonde, funky, frum (Torah observant), classical musician string player in the world?! Yay!” She seriously rocks my socks off! Here are some gorgeous, fun photos of her, and an interview! You’ll love hearing what she has to say! Hi Ariella, can you tell us a bit about yourself, how you spend your time, what you love to do, where you live, etc.? 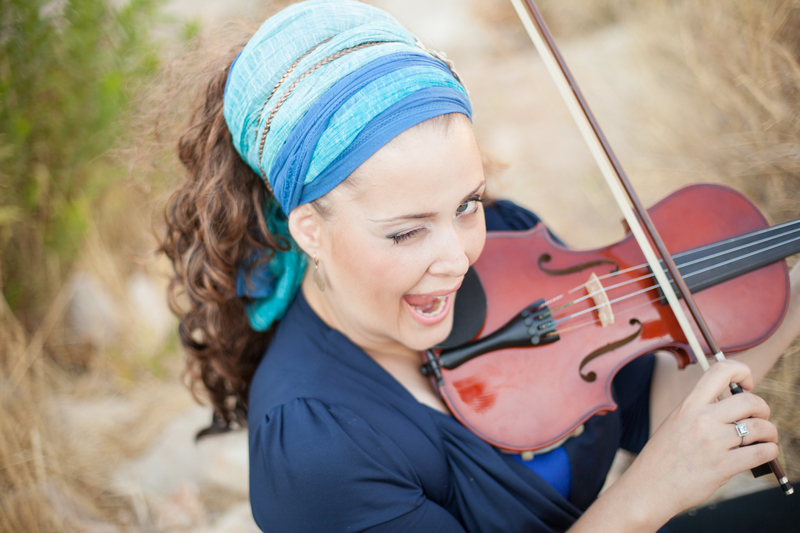 Hey there everyone, I’m Ariella Zeitlin-Hoffman, a violinist from Israel. I grew up in Baltimore, and made aliyah to Israel when I was 18 (on my birthday) spent a year learning Hebrew, and then went into the Jerusalem Academy of Music and Dance where I met Andrea and her husband Yonatan. Music is a huge part of my life-My parents are kind of the hippie rock stars of the community we lived in, and their Simchat Beit HaShoeva was the place to be for years and years-Rabbi Shlomo Carlebach used to pop in yearly, but I don’t remember him so I don’t have any great stories except there was one year that the whole sukka fell over and I remember a feeling of panic because they were expecting a hundred or so people. My grandfather, Zvi Zeitlin was considered by the NY Times to be the Methuselah of violin players-making a full recital on his 90th birthday! Today I play one of his violins and use a bow which was made exclusively for him by a jeweler named Henry Kasten. 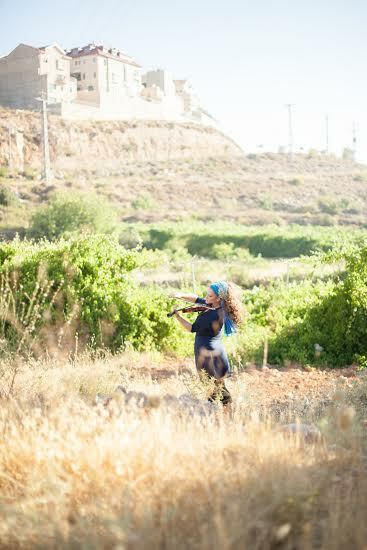 So I always had those two important influences in my life-the classical and the folk, and as a musician I’m really connected to both genres, which has made me very in demand (thank G-D!) as a studio player because I keep it in both worlds with note reading, improvising, and playing by ear. Time, time! I’m still at home with our baby, and summer vacation is just finished now so I’ve been spending an awful lot of time with the family-when it’s regular time, which is starting now, I really spend all of my time either playing violin, teaching, spending time with my family, or dealing with the house type of stuff that nobody wants to do (except those crazy Pinterest moms who I aspire to be like). I’m also a super nerdy crafter (seem like the type, eh?) and love to crochet, sew, bake, and upcycle furniture-I love painting and sanding and getting my hands dirty. My husband makes beer so he’s also crafty like that. In terms of work, I teach and I do a lot of freelance work-concerts, bar shows, studio sessions, etc. So I’m really busy! And even when I’m not busy with work, there’s always something else to do. We live today in Herzliya, where my husband works as the Rabbi for Jeff Seidel’s student center, so we have programs of different kinds almost every night of the week in our house. Sometimes I’m there, sometimes not-depends on how worn out I am. I also have the attitude that when I’m at home I’m all at home-I try to keep my mind off of other projects so when I’m at home, and I really try to keep my phone far away until our kids are asleep. With my big daughter in Pre-K, our baby boy is mainly with me except when I have work. Sometimes think about getting a real job and putting him in daycare, but I love being a mom, and he’s an easy kid so I get a lot done. Do you have a favourite composition? Or a few favourites? Why? 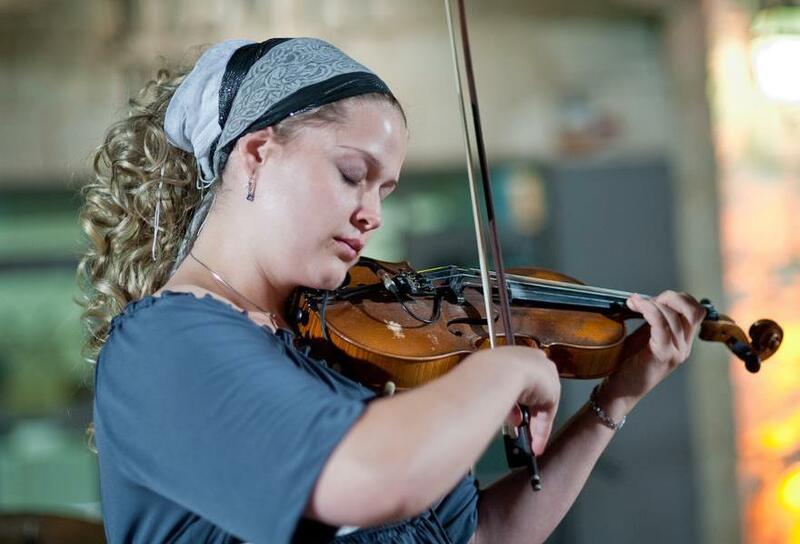 So a few months ago, I had a series of concerts where I performed the Mendellsohn Violin Concerto with an all-women’s orchestra from Jerusalem with concerts all over the country. There were 5 concerts in total, and there are some plans to resume the tour in the fall, but nothings set in stone yet. They’re making sure I’m still practicing!! Anyways, back to Mendellsohn. I mean he was just brilliant and stunning in his writing. Gorgeous music. The concerto is also unique because the way it is written is kind of like an exchange between the orchestra and the soloist, and I love how the theme starts in the violin at the beginning instead of the opposite, which is more standard, setting the scene for the drama of the orchestra to come in. Ahh…Mendellsohn. Also the 3rd movement is a lot of fun. Another favorite piece is the Khachaturian Violin Concerto, which is a rich and intense musical drama-Khachaturian was an Armenian and the journey of the Armenians and the Jews has many parallels in the past century. In fact, my great grandparents were jailed in Russia because of Zionist activity, and they were put in front of an Armenian judge for trial, who empathized with their desire for a homeland and instead of sending them to Siberia as punishment, actually sent them to Palestine in 1927. And, and, and…well what I think is so great about loving music is that you’re really familiar with different types of music so you know what you want to hear at different times. There are very few genres that I dislike. I’ve experimented in everything, and love all kinds of music. I love show pieces-pieces written for the violin which classical performers call ‘fluff’-written to impress but not really deep. I play a lot of those in certain types of venues. I love singing, also and am currently working on a few singles of my original songs. I love 50’s rock and roll, I love any band with positive vibes and messages, I love dubstep and trance and folk and rock and fiddle music and country and middle eastern Arabic and am practicing my beatboxing! How did you feel about hair covering before getting married? So I’d always been back and forth about my feelings about covering. On the one hand, I grew up in a community of coverers. 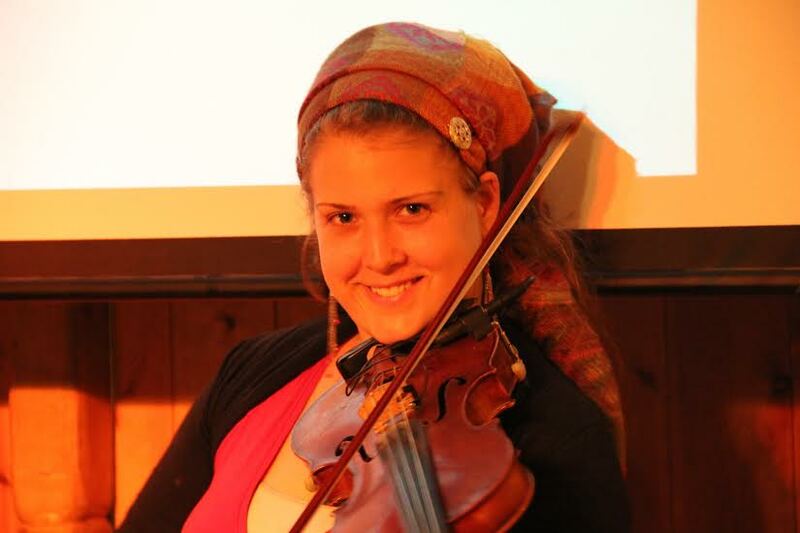 There was only one woman who wore a beautiful tichel on a regular basis, Rivka Malka Perlman, but she was also so gorgeous and striking that whatever she wore on her head would have looked amazing (you all know what I’m talking about). Then I moved to Israel, went to Seminary, started seeing people in tichels, and then I went into University. And that was the first time I heard of this concept of head covering being oppressive to women-to me it was always just something people did, and I never asked too many questions. But all of my opinions were constantly being challenged by the people around me and I really started to question every single thing I had always taken for granted as true and normal. Was hair covering really oppressive? I started looking around and kind of left that particular issue aside-there were so many other issues to deal with and figure out where I stood on them that I hadn’t really thought of before. 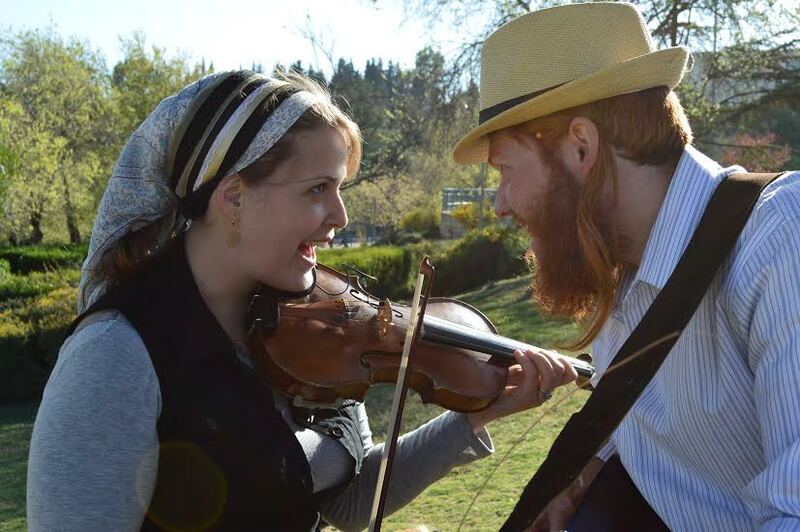 Then my journey brought me to my husband, and we spent a year and a half figuring out together what Judaism meant to both of us and who we wanted to be-and kind of discovered accidentally that we had fallen in love! So we ended up in the whole whirlwind of everything and the headcovering thing? I still hadn’t really given it a thought. Then when I got engaged, we went to the States and my mother bought me two wigs-a full one and a headband one. And I just kind of went with everything-actually my awesome husband came sheitel shopping with me! Not really done by anyone else, but the concept was so weird for me, that I felt like I needed him along for support, and it was a lot of fun, although I could tell that Tsfat had worn off on him and he wasn’t super into it. It was always taken for granted (for me) that I would cover my hair and I never gave it much thought. I bought a lot of fun wigs from the stores catering to black women that clipped on and I really had fun with the whole thing-but still hadn’t settled on what was me. I think the most important thing for anyone starting out and wanting to cover, is that don’t ever be totally set on what you’re going to wear-and don’t buy a lot of anything until you know what fits your personal style!! How do you feel about it now and how has the journey been for you? So after I got married, I covered fully, but I really started hating covering. It felt uncomfortable, I felt like I stuck out-I wore a half wig with a hat or scarf to University so nobody would know I was covering fully, and then when someone would come near my head for any reason I would jump out of my skin because I REALLY didn’t want anyone to know I was wearing a wig (and whats the point if you’re trying so hard to make sure nobody knows?) So after a while I forewent the wigs. I almost never wear a wig now except for rock shows where I wear a wig that’s as big as rhode island but that’s for fun, not for modesty purposes. 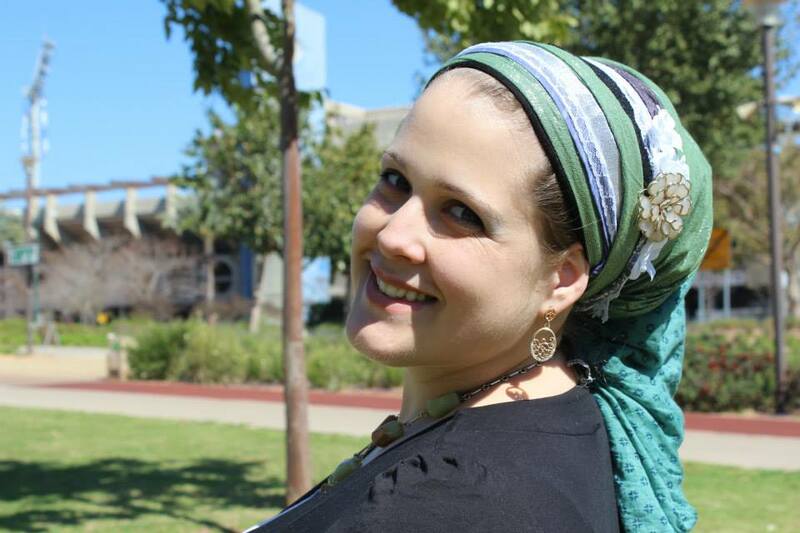 And I started doing what they call the ‘half cover’ where I wear a head covering both as a symbol of being married, as well as covering my head as opposed to all my hair, which is another opinion within the spectrum of Jewish law and which, for now, makes me feel the most myself. It also puts people more at ease in a professional setting, because they think I’m ‘cool’ which I just think is a little nutty, but people judge on appearances. I also do a lot of work in ultra-orthodox places, and I really change the way I look from place to place that I go, depending on the requests of the demographic. What is your personal favourite way of covering your hair? Tips and tricks that you can share with us? – A couple of months ago, my husband and I did a home improvement project where we bought a broom stick, and chopped it into two pieces-one long and one short. We put them both on the walls with hooks and connected to chains and I now keep all my scarves there-they look so beautiful and it gives me such a wonderful feeling to walk into my room. Also lets me see all my scarves-long scarves on one, headbands on the other. Being able to see everything makes it so much easier to coordinate! – Don’t buy a lot of anything specific when you’re just starting out. Everyone’s different, you’ll discover styles you love with scarves that you didn’t buy and end up with a hundred of the wrong type, haha! – Velvet Headbands are amazing-buy at least two! – Those really pretty ones? The more expensive ones? I decided that I wanted to make my own last summer. But I’m the type that never does just one project. So I made 8. They take a LONG time. And they come out wonky if you’re not an excellent sewer. And they cost money for all the materials. The people who are good at making them really deserve what they’re charging. Obviously there’s a lot of value in doing projects for the sake of doing projects but if you look at something and think ‘I could do that myself’ I’d say if you’re pressed for time, or are not naturally meticulous, it’s really ok to invest in something beautiful and that they’re probably not overcharging. So treat yourself every once in a while! Can you share a memorable hair covering moment? A few days after my wedding, when I was still figuring out the scarf thing and it was insanely hot I wore a thin slippery one, which, come to think of it I don’t think I’ve seen in years now but I liked. And if course it fell off in the bank. I unfortunately have had several situations where I was trying to juggle 4000 things and when the scarf came off, I looked around and everyone was kind of waiting for me to freak out-but these things happen, and what can you do. So I’ve just played it cool and I think people were disappointed! But that’s a memorable un-covering hair moment. 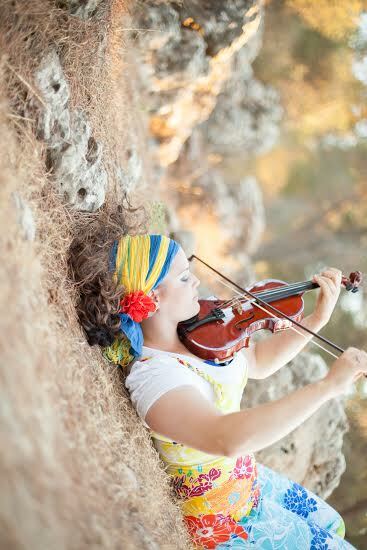 A memorable hair covering moment would probably be the first time I played in a big show for a Dati-Leumi audience and I layered so many scarves my head almost fell off. But I really wanted that statement look! I try, whatever I am doing, to make the scarves a really important part of my look-because I think looking funky in scarves is an important statement and an important part of my identity. I’m grateful for so many things! I often stop and count my blessings and I make grateful lists all the time-I’ve found that for me, gratitude is the thing that makes me feel most happy and satisfied. I also am a huge subscriber to dream charting-where you think about what you want to accomplish, and spend time every day thinking about how to get there, and some of that time appreciating the steps you’ve taken thus far. I have found that, although many people say that it’s hard to have a successful career In addition to being married and having children, that I’m probably much more successful than I might be if I weren’t married to my husband, who keeps me grounded and helps me to achieve success all the time. So he’s number one on grateful! I’m grateful to have a good life, a wonderful, healthy extended family, no debt (finally paid off all my student loans!!! ), a successful career in something I truly love, good friends, and lots of dreams! What do you want to bless the readers of Wrapunzel with for the coming Jewish Year? Judaism is all about starting fresh. Renewal, prayer, repentance, charity, and as we come to the new year, I want to bless you all that every bad moment and memory that is weighing you down will become a stone in the path that you realize that it has helped you to get where you are, and that you can take those moments and accept them, and really look at them with a fresh eye to see how they have brought you to where you are today, accept them, and then leave them be. A lot of people carry around the baggage of old relationships, or of bad situations of any kind. Stop. You are a new person from this very moment. You control your destiny. You are wonderful and talented and brilliant and special. For me, from a young age I had this *one thing* that was my gift. I was fat, I didn’t have many friends, but I was musical-and I felt chained to that description of me, like there was no other thing that I was. At a certain point I sunk into a low point of depression over that thought, but at a later point I realized we really are all a beautiful bouquet of wonderful gifts, and as I got older and was able to recognize my own gifts, I was able to appreciate and love others for their contributions to the world. When you realize that you are wonderful because you have a beautiful soul and you try to bring more joy, light, warmth, and kindness into the world, there is no greater feeling than to recognize that in others. So I bless you all that you can leave your baggage behind in order to bask in the light of the coming redemption! I love her! I want to squeeze her with a big HUG! Yay!!! So beautiful! Oh so beautiful! Thank you for sharing! Is is okay if I pin one of your pics to my Pinterest? I haven’t asked her but I’m 99% sure she’d say yes! 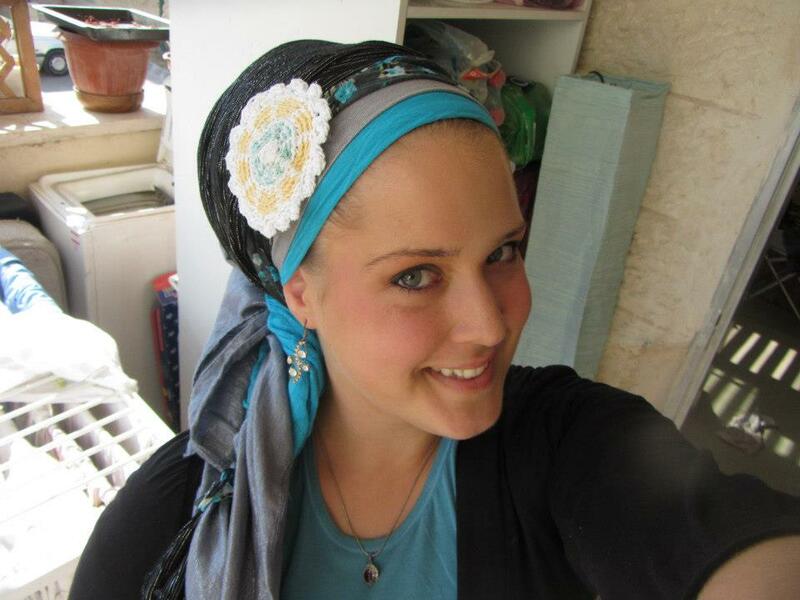 She’s in Israel so sleeping now but you can try contacting her on facebook and asking! Ariella, you’re the best 🙂 my crazy friend! I miss you. Oh my… the second video gave me goosebumps…. I love violins. She’s beautiful. God bless her and her family!